Donna Gottschalk, Self-Portrait, Maine, 11×14 in. Gelatin-Silver print, 1976/2017. Courtesy of the artist. This exhibition features the work of Donna Gottschalk, a photographer active in the early period of radical lesbian organizing in New York and California during the 1970s. Gottschalk came out as a lesbian right at the formation of the radical lesbians and Furies collectives on the east coast, where she met lesbian artists JEB (Joan E. Biren), Flavia Rando, and others, and later moved to California to join lesbian-separatist communities. 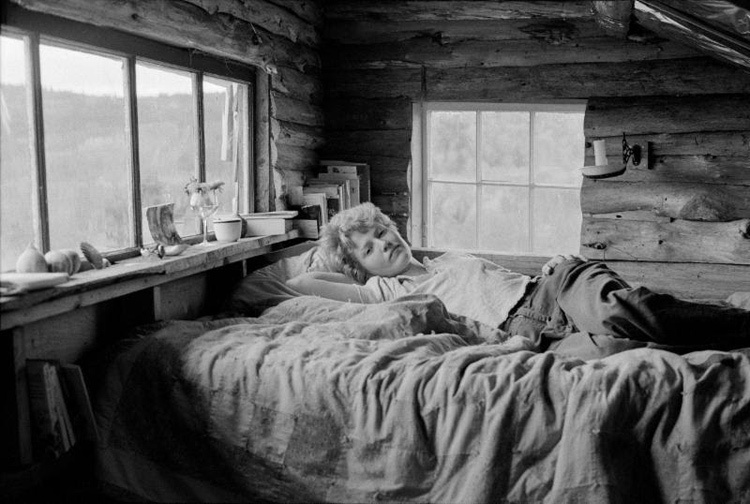 In both locations, Gottschalk photographed herself, friends, lovers, and activists in radical lesbian communities. Gottschalk also documented the life of her sibling, formerly a gay man named Alfie who transitioned to become a woman named Myla.